The Rebel Sweetheart. : Pucker Up! | Maybelline Baby Lips in Anti-Oxidant Berry. Pucker Up! | Maybelline Baby Lips in Anti-Oxidant Berry. Although these line of lip balms from Maybelline have been in the market for quite some time now (they were launched around October last year, If I'm not mistaken), they're definitely new in this part of country. Saw them on display at Watson's (SM San Pablo) 'New Products' section for the first time last month, during the 3-day mallwide sale. After receiving this massive loot from my husband, I made a resolve to refrain from buying makeup for the time being. But I just couldn't resist these pretty little things. Their design and packaging are definitely screaming for attention. The flavors look yummy, and the promise of renewed, baby-soft lips makes them all the more interesting. I wanted to try them all, but since I still have an ample supply from Carmex, I bought just one lip balm. I went for the Anti-Oxidant Berry because it's pink. And seeing how only a few of them were left in the display rack, I figured it's the best-seller among the four flavors. The Maybelline promise - instant eight-hour moisture, rejuvenated lips in one week. Its active ingredient, centella, is known for its anti-aging and rejuvenating properties. 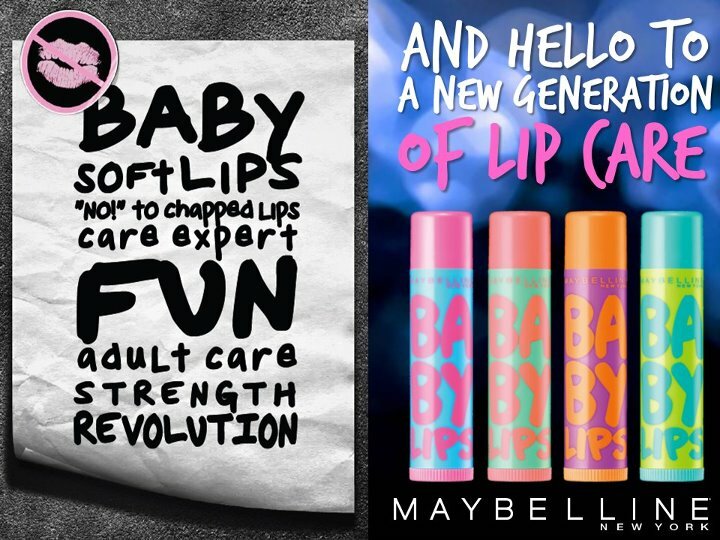 Other ingredients found in the Baby Lips are shea butter and vitamin complex. The former has healing properties, while the latter is a known anti-oxidant. As such, this lip balm not only moisturizes, it also makes your kisser softer and more supple. Reduces fine lines, too. Sun protection is also a bonus. SPF20 on a lip balm, I'm fine with that. 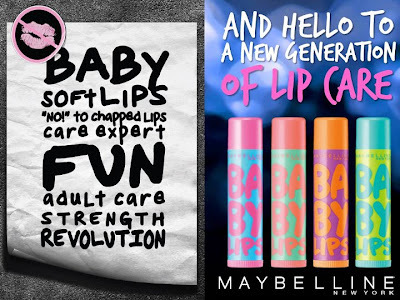 Don't confuse this with the US version of Baby Lips, though. Theirs are tinted lip balms (think Revlon's ColorBurst Lip Butter) that come in six different variants. Ours are untinted, and come in four flavors. - The sun protection factor. - Moisturizes and softens lips. I'm tempted to try the Relieving Menthol variant, just so I could compare it against the classic Carmex. But I must restrain myself from buying since I have a pack of my favorite EOS - the real HG lip balm - arriving very soon. On a different note, great things are about to happen to The Rebel Sweetheart. August is gonna be awesome, folks! I will TAKE CONTROL! Sharing with Pink Saturday, Great Finds Sunday, Blue Monday. Most lip balms only have SPF 15 so this brand is really worth your money. It's not even expensive! I will want to try this one! With all the heat waves we are experiencing anything extra to soften my lips will be welcome! Thanks for the share! hhhmmm.. im not a make-up lover but a gloss will surely help m protect my lips from drying out during im out in the field. I have of their baby lips collection! I love Maybelline not just because of the quality but their products are so affordable! I LOVE lipgloss and lipbalm, I have quite a collection personally! Im a little OCD, I hate having dry lips and maybe this one might be the solution! It sounds so fab I think I'll give it a go! The product itself seems good but the packaging is too teenybopper for my taste. The animal testing bit is also discouraging. I want to buy this too because of the packaging. But I have too many lip balms and my trusty Burt's Bees, ang tagal maubos. Kaya di rin ako makabili ng Carmex. But it's a steal for just Php 79. The look very cheery! It never ceases to amaze me the kind of things they come with up. Anti-Oxidant lipstick. I don't really wear makeup, but I know my lips could use a sweep or two of gloss. They tend to crack. It does sound delightful. I like a good lip balm too. oh, I love maybeline, I'm a long time client..hahha. I just love their products. It's hard to find an inexpensive balm with a good SPF. Thanks for the info! My daughter just saw this the other day--the great colors on the package SURE does CATCH the eye! She's sort of on lip gloss over load right now--Although I did go back and by a few as stocking stuffers--Love that it has SPF20! I actually have the bluegreen variant of this! I think its the relieving menthol. I bought it when my lips were chapped and plus yeah.. the packaging looked really cool! The menthol worked and I liked its effect. I sometimes use it before I put on lipstick but then the lipstick comes off quickly when I do that. I think I lost it though.. so I might try this other one. Thanks for sharing! I need one of those! Hopping by from Blue Monday! I am so anxious to hear what's coming this month for you!! Love these products!! Nothing better than light lip balm. Using lip balms mostly on winter. Haven't tried the Maybelline product though. If ever I can find one here I love to try the anti-oxidant berry as well. i want some of these..always lip balm ako sis..
Great finds! Have a fabulous week.